Today’s first project was soft core yarn. What did you think I meant? Get your mind out of the gutter! 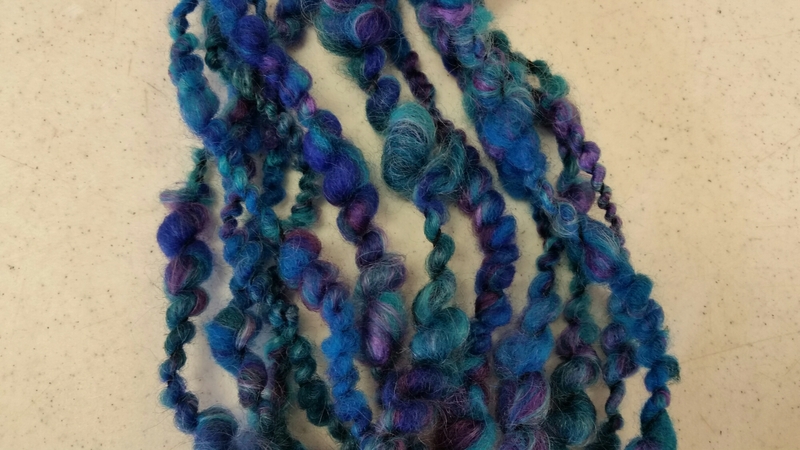 This is an extremely beautiful yarn that will be very easy once I get some practice in. Next we made boucle, which is a multi-step process. I clearly have room for improvement, but that’s ok. I enjoyed it, and I like that yarn very much, so I’m happy to find out how to make it. 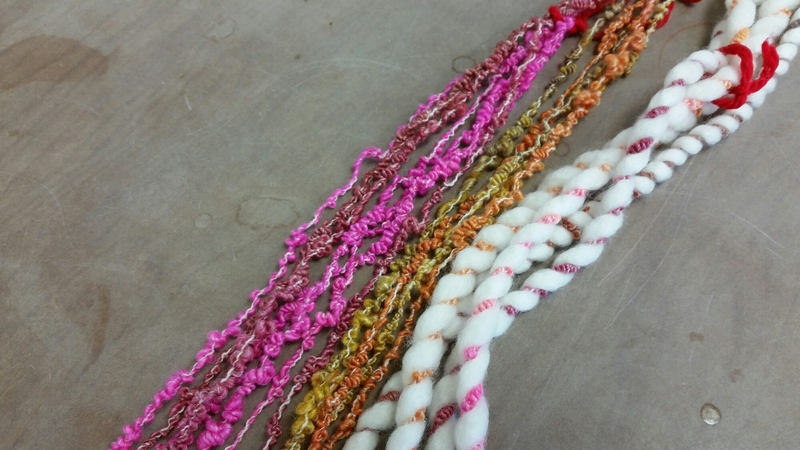 We actually made two kinds of boucle, “regular” and spiral. The spiral one is on the right. We also tried our hands at spinning cotton. Nope. Not happening for me, at least not now. After hours, I decided to see if Andean plying would work on the silk I spun last week from the hankies. I tried it with the gold. It worked at first, but then started getting really tangled, so I eventually gave up. Tomorrow I’ll try something different.